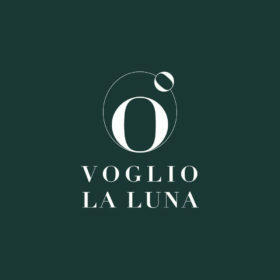 The station has regular train services to all major Italian cities as well as daily international services to Paris, Munich, Geneva, Basel, and Vienna. 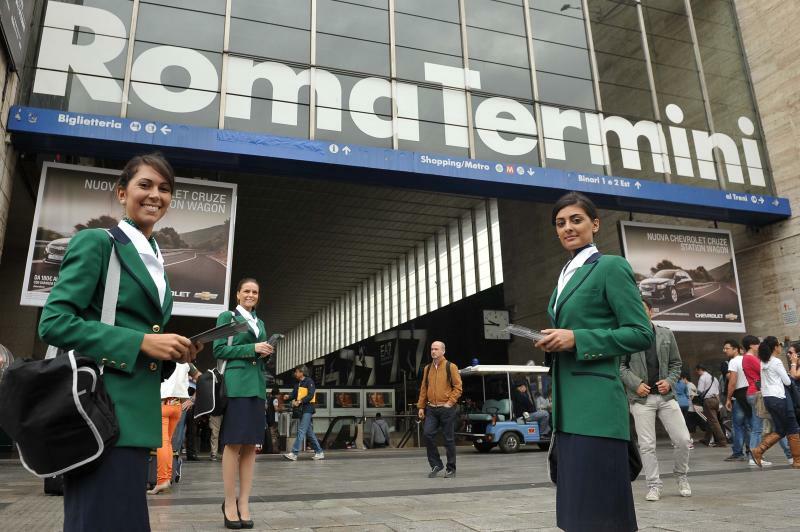 With twenty-nine platforms and over 150 million passengers each year,Roma Termini is one of the largest railway stations in Europe. 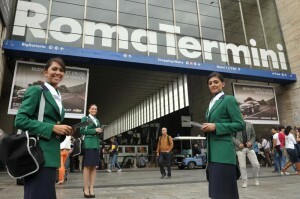 Termini is also the main hub for public transport inside Rome. 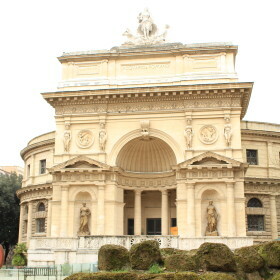 Both current Rome Metro lines (A and B) intersect at Termini metro station, and a major bus station is located at Piazza dei Cinquecento, the square in front of the station. However, the main tram lines of the city cross at Porta Maggiore, some 1,500 metres east of the station. On 23 December 2006, the station was dedicated to Pope John Paul II.